These 2D animation examples present video as a key tool to connect better with potential customers by explaining what your business can do for them and why they should choose your service or product. Using 2D animation explainers in your marketing strategy, makes it influential and engaging plus puts a personality to your brand. 2D animation explainer is the classic animation used by companies to explain about the product or service. The animation explainer boosts the attraction towards the desired item and increases sales or leads. Smartwave is a family of simple and beautiful wireless technologies that work together to make life simpler and better. It keeps a check on all your appliances while you are away ensuring security and energy saving. The 2D animation explainer highlights how Smartwave increases convenience and comfort of your home. VocalPoint Consulting is the leading telecom & cloud service consulting and brokerage firm headquartered in Central Florida. It offers solid advice on the sourcing and procurement of telecommunications and cloud services. The 2D animation explainer gives an insight into VocalPoint’s way of processing. Zebpay is a unique app which is the fastest and easiest way to buy and sell Bitcoins. It guarantees fast transaction processing and the best bitcoin rates. For buying bitcoins, make payment to their bank account and the amount shall be added to your Zebpay account in the app. The 2D animation explainer shows how Zebpay aims to control your financial destiny. Western Union is a leader in global payment service that helps people and businesses move money and helps grow economies. The power to send money around the world is in your pocket with the Western Union Money Transfer app. The 2D animation explainer shows how you can partner with Western Union Bill Payments to build and execute your mobile payment strategy. WebEngage is a multi-channel user engagement platform which automates communication across users’ life-cycle. It builds enriched user profiles for every single user using your website and/or mobile app. 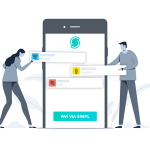 The 2D animation explainer shows how WebEngage automates user engagement and helps you retain and grow your user base. Cocoon is a real estate agency that makes the home buying and selling simple, painless and stress-free. 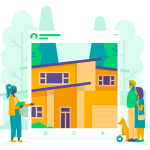 It helps you have immediate access to the Cocoon network experts like lenders, home inspectors and mortgage bankers to help you find home of your dreams. The 2D animation explainer shows how Cocoon is the enlightened way of buying and selling your home. Silver Chef is Australia’s dedicated hospitality equipment funding solution which helps start-up cafes expand them to large restaurants and hotels. It provides a flexible equipment funding solution to customers through Silver Chef’s Rent-Try-Buy solution in the hospitality industry. The 2D animation explainer explains how Silverchef enables small businesses to procure hospitality equipment without the need for a large upfront capital outlay. Kyngo is a Q&A based social connectivity app that shares and monetizes knowledge. It requires no cars, spare bedrooms, tools, or special skills and everyday people are eager to share their local knowledge. The 2D animation explainer highlights the user-friendly features offered by Kyngo. Buzzwinx is a social media marketing partner that designs and produces relevant storytelling and social media experiences for clients’ audiences. It has modern and specialized techniques that provides an engaging experience to the audience. The 2D animation explainer showcases how BuzzWinx engages, attracts and retains clients on social media. Lavit offers single serve, cold beverage systems for the US commercial and retail markets. It allows users to insert recyclable aluminum capsules to create a variety of healthy and great tasting beverages, which include iced teas, lemonades, flavored waters, and energy and sports drinks. The 2D animation explainer shows how Lavit helps in making the beverages healthier compared to other drinks. Digitro is a digital marketing agency that has been formed by a team of experienced marketers looking to provide SEO solutions to clients. It provides measurable and trackable metrics via call tracking & web analytics with its cutting edge tools. The 2D explainer video showcases how Digitrio helps customers identify goals, innovate their marketing strategies and improve their conversions. StraightSource provides brilliant leads for your business by consolidating the absolute best promoting arrangements. It coordinates every arrangement into one intense advertising trident. The 2D explainer video shows how one can build deals and income for business by using StraightSource marketing solutions. Orataro is the ultimate school to parent communication tool. The app provides schools with an easy way to tell parents and guardians everything they need to know about school news and every minute detail about a child’s activity in school. The 2D explainer video highlights the hassles of school and parent communication, while introducing Orataro as the perfect solution. SimpleFX is a robust online trading provider, offering trading with Forex CFDs on Bitcoins, Litecoins, indices, precious metals and energy. Its solution offers customers a simple solution with the best pricing, execution and liquidity, innovative trading technology and variety of trading instruments. The 2D explainer video shows how SimpleFX enables trading of currencies and commodities quicky and easily. Roomcase is an online room booking software that allows users to book hotel rooms and private lodges such as apartments and suites. It provides channel management which updates the online sites according to room availability of hotels. The animation explainer showcases how Roomcase promotes booking of private lodges and hotel rooms. Cellular Solutions works with some of the world’s leading business management software providers to offer tools that amplify sales and build customer relationships. Its scalable manufacturing software diminishes the need to manually re-enter and sync data between disparate systems. The animation explainer tells how Cellular Solutions speeds up theb manufacturing time of businesses significantly. Open Web Technology SA was launched as a Swiss-based digital technology consulting boutique with global reach. With almost 100 employees, it composes of a group of seasoned consultants and high-tech entrepreneurs, surrounded by a team of young professionals, all graduated from leading institutes of technology. The animation explainer showcases how the Open Web team provids digital transformation consulting services for high growth companies. Unlike other providers who have a limited number of telecom offerings, Richmond present an array of phone systems and services so companies can choose the one that best fits their needs. For those who want to upgrade their telecom systems from analog to digital, a wise move for growing companies, Richmond is the perfect choice. The animation explainer gives an insight on all the features Richmond has to offer. The Groves Agency is an organization that works towards the development of business across the world through web design, web development and digital marketing. It is a complete user-centric venture that focuses on online marketing strategies. The animation explainer showcases how Groves Agency helps to build a business that works. Jobber is a mobile field service management software that helps you organize your field service business and manage your mobile team. It allows you stay in touch with your employees, assign them to jobs and see their progress and location in real time. 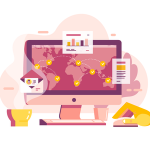 The 2D animation explainer shows how Jobber helps you manage your business efficiently by helping you track your expenses, invoices, payments, and more. With the above 2D animation examples, it’s evident that companies are fast integrating videos in their marketing campaigns and various other touchpoints. If you are planning to develop these 2D animations, a good start is to develop a brief of what can be the tone and style for your videos. We advise you to be different and unique while you create your messaging through the videos.